If you want to see the best PR tools in one place, then you’ll LOVE this (updated) guide. Finding something that actually works for startups isn’t always easy. I personally tested and reviewed 127 free and paid tools. To get effective publicity and exposure you need to reach out to the right journalists, bloggers, and influencers who write about your niche. These journalist outreach tools have extensive databases that can help startups find the best media fit. You can also find Twitter bios, emails and portfolios of journalists to see if they are relevant to your startup. 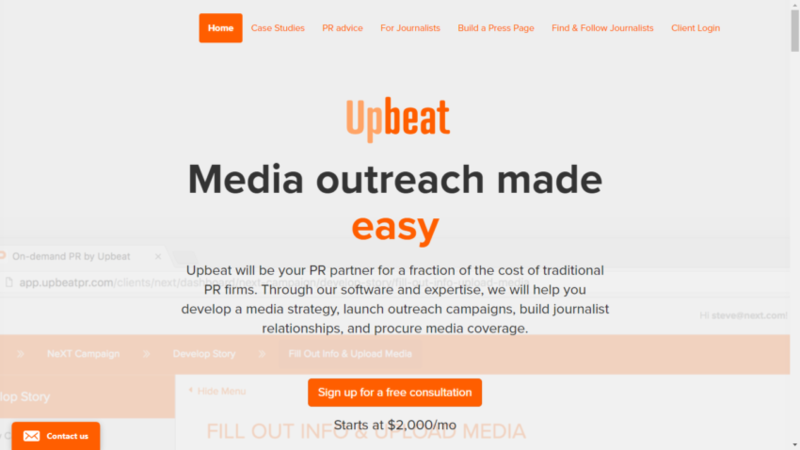 JustReachOut combines robust PR software with the expertise of outreach strategists to help you get the media exposure you need to grow your business. We start with a PR goal and action plan. With your JRO outreach team, you’ll develop a strategy and action plan. Once we establish a public relations goal we work on a customized action plan based on outreach tactics we have garnered from running successful PR campaigns for companies in your industry, with a similar campaign goal and purpose. Working closely with customers (typically marketers and founders), we recommend the right type of assets for you to create based on your objectives. This can include content, surveys, and reports that will be most relevant to the journalists who will receive your pitches. Next, we find relevant journalists for your story. Our software indexes millions of articles every day written about a specific trend, topic, niche, industry, or company. It then extracts the name of the author, the article related to the topic you’re searching, and any available links to social profiles. We assign the topics and keywords to each author profile in our database, which grows and improves each day. When our customers search for a specific topic in JustReachOut we find the most relevant journalists for this given topic and keyword based on all their past writing. Our software also monitors daily press opportunities (daily queries from journalists to quote an expert in their article) on various platforms such as ProfNet, SourceBottle, ResponseSource, Reddit, and Quora to identify the most relevant ones for your business. We also give you the templates for sending your email pitches. For example, here is an email template for responding to press opportunities which consistently get a 91% response rate for our customers. 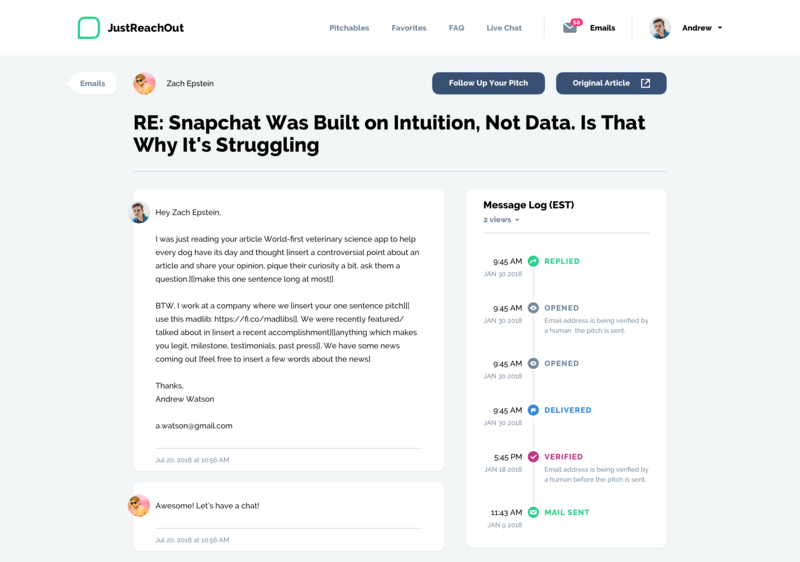 JustReachOut helps you find the reasons why a specific journalist would be interested in your story and how to start the conversation, thereby raising your chances of getting a reply to your email pitch. Finally, JRO also helps you write your conversation starters, email pitches, and follow-up emails. We help you build relationships with journalists, influencers, and bloggers so that when you pitch them, they are more than willing to hear your story. Our software also tracks email activity and notifies you when a journalist opens, clicks, scrolls, or responds to your pitch. The software provides a customized view of your pitch analytics that informs our outreach strategists on how to adjust the email pitches, subject lines, and overall action plan. How Does Our Team Help You? We are not a traditional PR agency so you will not be dependent on us for your PR success forever. JRO provides you with the benefits of a PR agency and the ease of a PR research and outreach platform in one. We provide you with the initial training and tools so that you can monitor and independently control your PR campaigns in the long run. This is the best part of JRO. You can take a few months to learn from our outreach strategists, soak up insights from our most successful customers and then move to a self-service mode when you’re ready to independently control your campaign. If you are curious to learn more, let us know and we will schedule a demo. PitchPress is a niche PR service that helps fashion brands get product placement in print and digital media. Most fashion brands fail in their first year. How do you navigate through this highly competitive landscape? Get your voice heard, or in this case, your products showcased in the right media outlets. Just share your product images, branded line sheets and dedicated press samples and let the PR team at PitchPress do all the heavy lifting. They connect with fashion journalists, create a media strategy, and amplify your brand’s reach. The team works round the clock to pitch your products to various fashion blogs and journals. 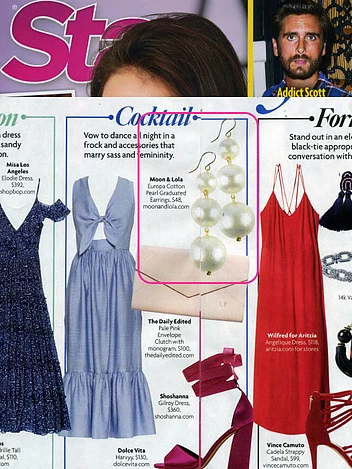 They secure product placements in renowned publications such as Good Housekeeping, Cosmopolitan, Glamour Magazine etc. – making your brand stand out from the crowd. JRO doesn’t just help you pitch, it also teaches you how to do your own PR outreach effectively. So you will never be dependent on the JRO tool to get press mentions. For instance, the founder of Planetarians Aleh Manchuliantsau’s desire to learn D.I.Y public relations led him to JRO. Using JRO, Aleh was able to experiment with different pitch angles, email subject lines, and see the resulting analytics while maintaining independent control over his campaign. 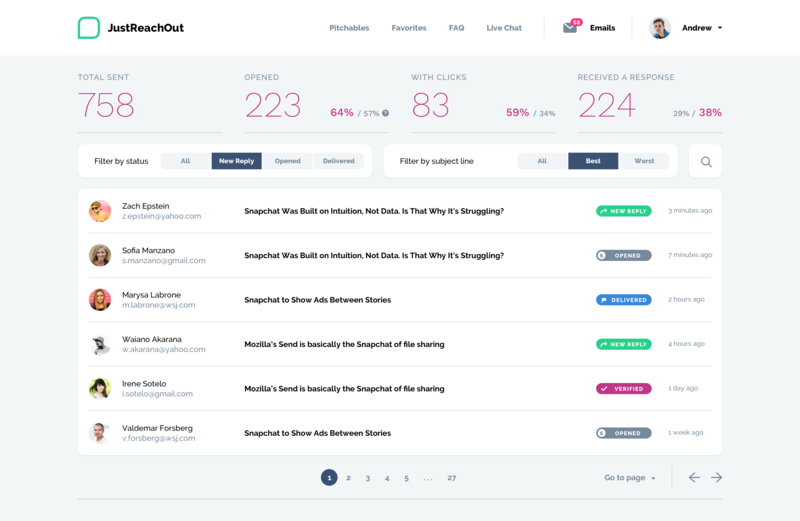 NinjaOutreach helps you find influencer email addresses and automate your PR outreach strategy. It has one of the world’s largest outreach databases. You can access over 25 million leads, bloggers, & social media influencers through this tool. All you need to do is type your keywords and you can access millions of profiles and their email addresses. You can then automate your email outreach campaigns for link building, guest posting, influencer marketing, digital PR, and content promotion. Each strategy would require you to reach out to dozens of bloggers. After creating an email list of possible targets, schedule and keep track of their interactions. Connect Ninjaoutreach with your email to get notified when a lead has replied or a follow-up is due. You can always track your influencer ‘relationship status’ with preset labels. JRO allows you to build direct relationships with relevant journalists, bloggers, and individuals. We help you find why a specific journalist will be interested in your story and how to start a conversation with him. Unlike NinjaOutreach, we don’t focus on blogs or publications but rather we focus on individual journalists and bloggers and their specific interests. We also work with you to optimize your PR angles, pitch copy and tactics based on a customized report of email pitch analytics in the software. 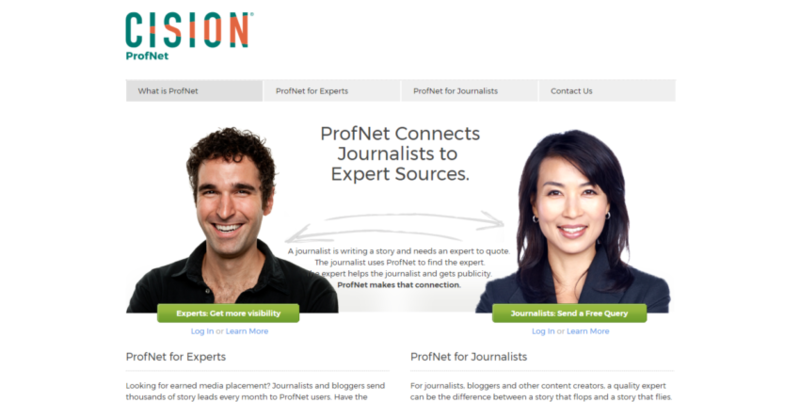 ProfNet connects you to journalists who are looking for experts to feature in their news releases. Instead of actively searching out for journalists, let them come to you. 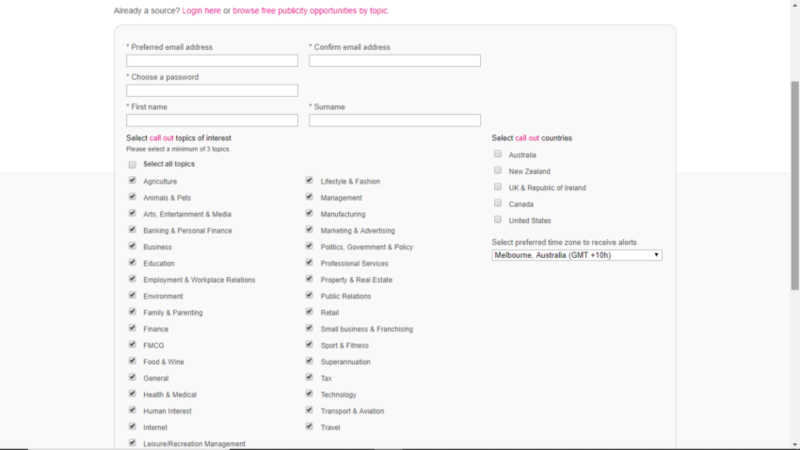 After you subscribe and set your topic preferences, sit back and wait for media leads. If you are a blogger yourself, search through the database to find a qualified expert for your article. 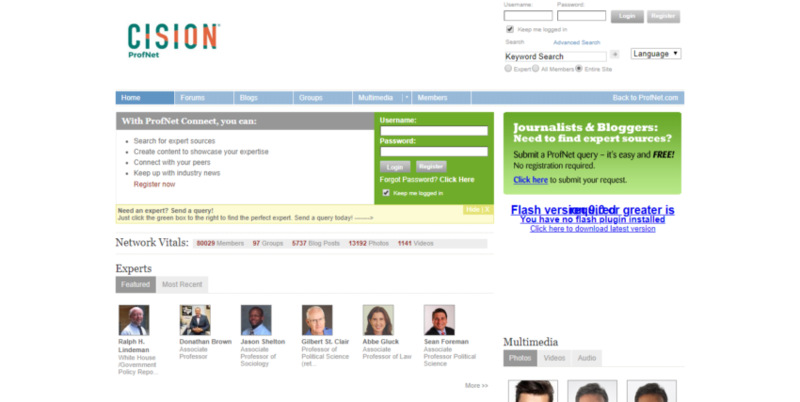 Profnet gives you access to an interactive online community for journalists, bloggers, and PR professionals. Showcase your expertise and make yourself search-worthy for media professionals, by posting photos and videos and tagging them with relevant keywords. JRO’s outreach strategists’ help you find exact media opportunities for your business with no guesswork involved. We index all media opportunities out there and make them searchable. Moreover, working with an outreach specialist can be immensely helpful for fine-tuning pitches and angles, garnering replies to pitches and follow-ups as Sandra Scott-Allen, Founder of Otis Skincare found out. What if you are not an expert in a particular field? 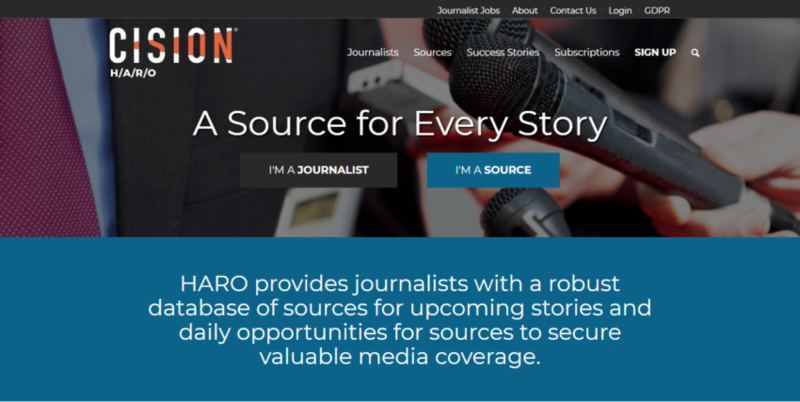 You can still help a reporter out, with HARO. Registered Journalists send out a source request – a brief synopsis of their story, required source qualifications, and a pitching deadline. After you set up your account, you will receive regular source requests (three times a day) relevant to you or your industry. You can pitch to these journalists with the answer and your bio with your information. If they are interested, they’ll reach out! If PR specialists subscribe to the Advanced plans ($49/month), they are granted an awesome perk. They get alerts when the HARO editorial team approves a media opportunity. This gives them extra time to craft the perfect pitch before anyone else. The JRO software pinpoints the most relevant journalists from among similar press opportunities, raising your chances of getting a response and getting published. We index media opportunities from all sources to find the most relevant ones for you. What’s more? Using the JRO platform, you not only know what’s in the news and how to find relevant journalists but also how to turn a study into a pitch and develop the story for a major publication as we did for TABS Analytics. 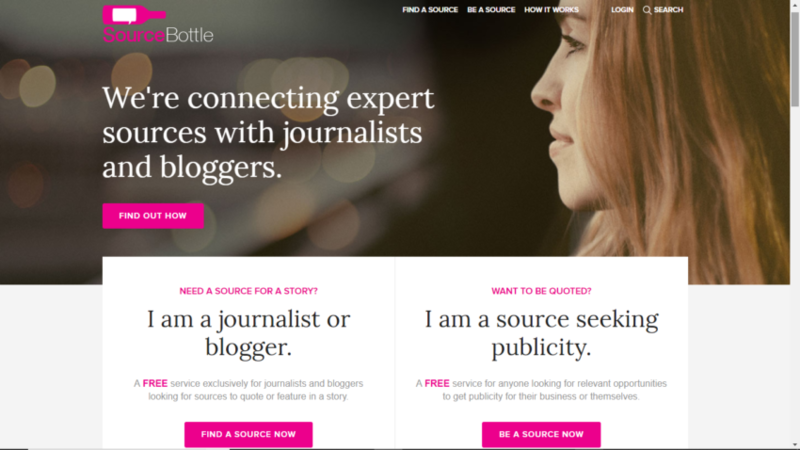 Similar to HARO, journalists or bloggers post a ‘call-out’ for industry sources on SourceBottle. You can request for ‘giveaways’ or relevant journalists. Receive daily ‘Drink Up!’ email alerts with a summary of all relevant call outs for sources. Unlike HARO, Sourcebottle is more geared toward product reviews and securing sponsorships. You can search for experts and journalists from all fields – nonprofit organizations, tech industries, fashion houses – it’s up to you. Sourcebottle also allows you to choose bloggers and journalists from specific countries. You can also choose whether you want to be featured on social media posts. Journalists can select how they wish to be contacted by either telephone or email. It’s a good tool to get in touch with experts and build long-term relationships for your business. JRO’s outreach strategists have more than one tactic to reach out to relevant journalists and get you maximum press exposure. You don’t have to depend only on press opportunities where a journalist seeks a source for a story. You can find a relevant journalist and tell her a fantastic story that is bound to pique her curiosity. We also index media opportunities from many sources including SourceBottle. 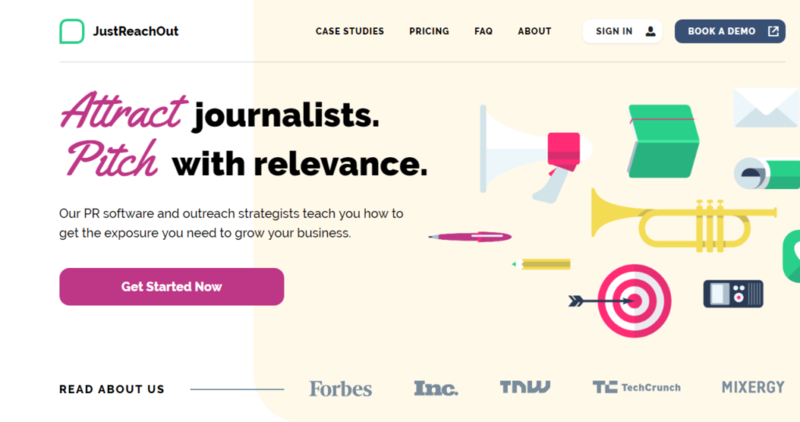 With Cision, you can connect with journalists from top-tier publications like the New York Times, the Wall Street Journal, CNN and more. You can also use the same platform to distribute press releases through PR Newswire – the most trusted press release network. 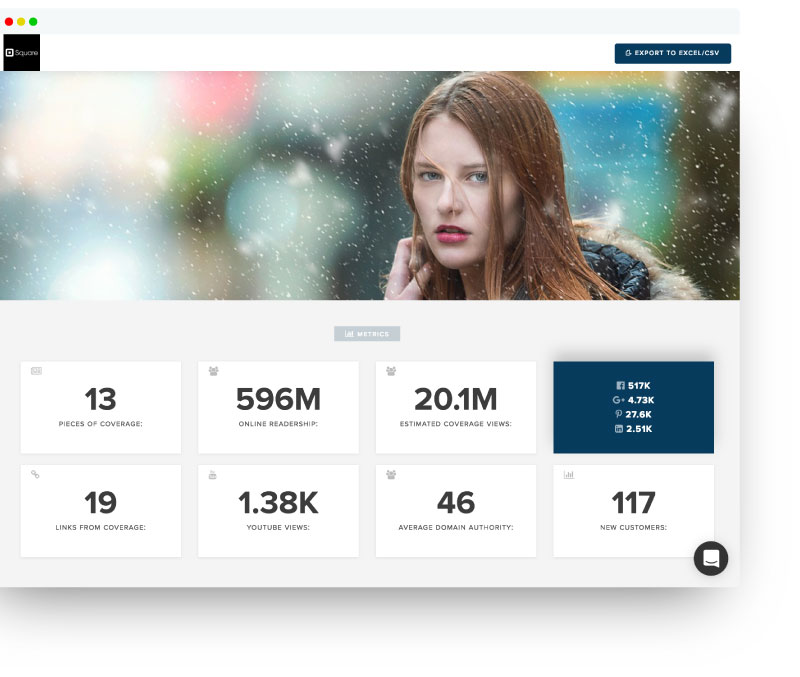 With the monitoring feature, you can monitor the latest industry news and keep track of competitors in real-time across millions of stories over online, social, broadcast and print media. However, with a yearly subscription of approximately $5,700, Cision is best used by enterprises. Cision’s advanced analytics shows how well your brand is positioned in news media coverage. It determines your ‘prominence score’ by figuring out how often your brand or product keywords are mentioned by the news media. For entrepreneurs and startups, JRO is the best tool. We guide and teach you the entire process of doing your own PR which is aligned to your business goals and SEO strategy. We don’t focus on blasting a template email to a list of journalists. We focus on a personalized approach to build a relationship and send a specific pitch email for each individual journalist. 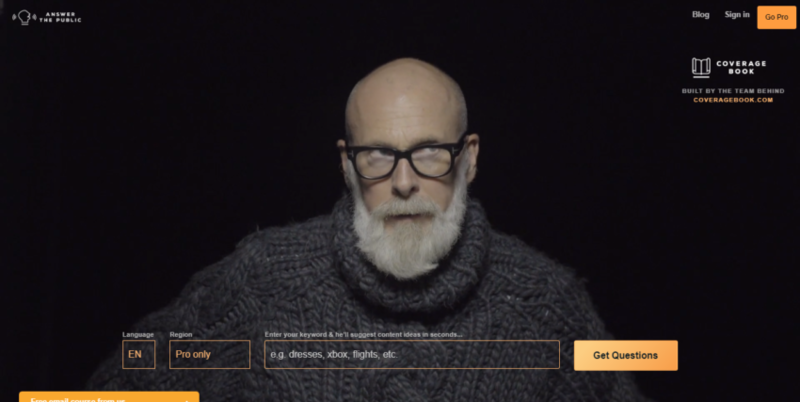 As this video shows, aligning your content and SEO strategy with your PR efforts can result in a true winner. Use these tools to keep track of industry trends. You can gain insights from customer conversations about your competition. 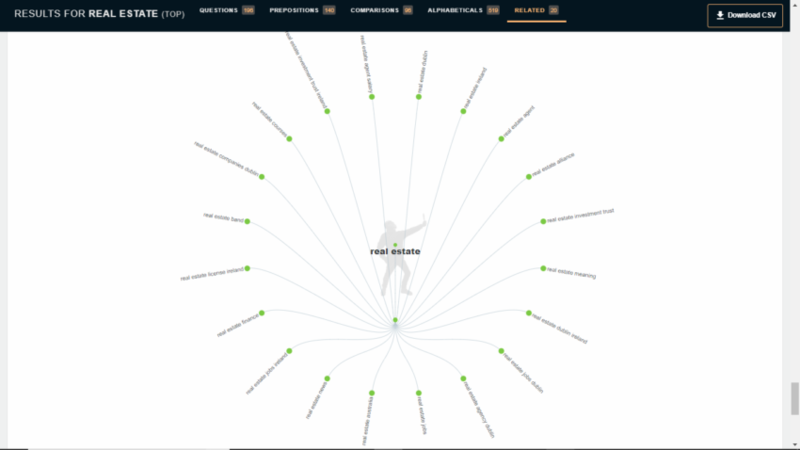 Can also be used to find keywords that perform best in your industry. What is your audience thinking about? Take a deep dive into their minds with AnswerThePublic. Just enter a topic, and you will be presented with hundreds of content ideas that you can use to connect with your audience. Create cool data visualizations that showcase all possible questions, comparisons, and related topics you can use for your PR strategy. You can also convert these lists and visualizations into a handy .csv file. We find what journalists want to write about a bit differently. You can search for a keyword related to your business and the JRO tool will provide a list of recent articles that have been written on that topic. The tool also gathers data on tweets, queries, questions, comments and articles from every journalist, influencer and blogger who writes about your industry to give you an idea of what’s trending in news. This can help you find relevant story angles to pitch. Is your brand getting the recognition it deserves? 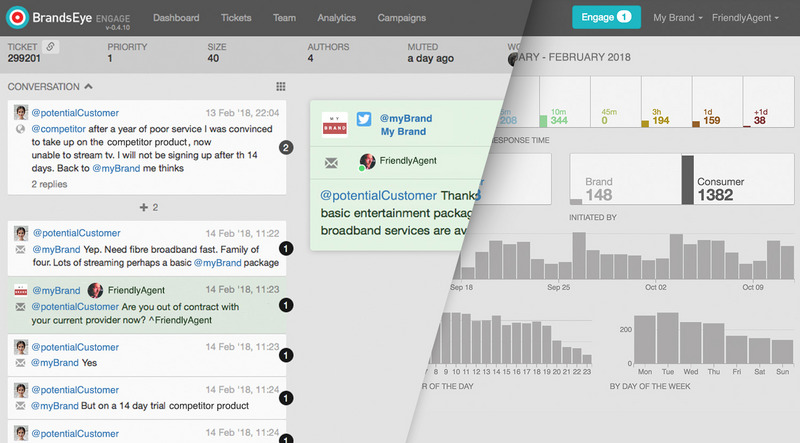 Keep tabs on your brand mentions in real-time with Critical Mention. The app scours through countless TV channels, radio broadcasts, social media accounts to find your brand coverage. Gain essential media insights by easily identifying audience sentiment and trends with amazing visual reports. 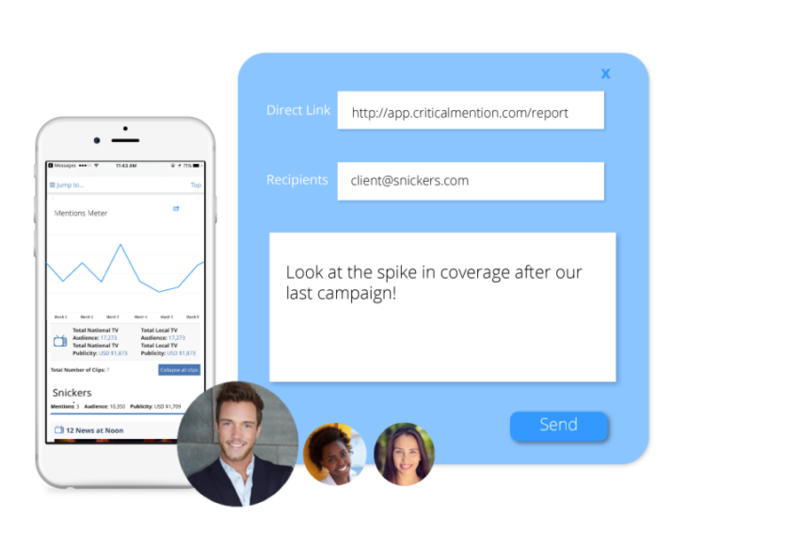 Always keep your clients and team members in the loop with the Instant Sharing feature. Share mobile-friendly media reports from anywhere. If your brand was featured on TV – share video footage with your team instantly. This is the most user-friendly tool on the list. 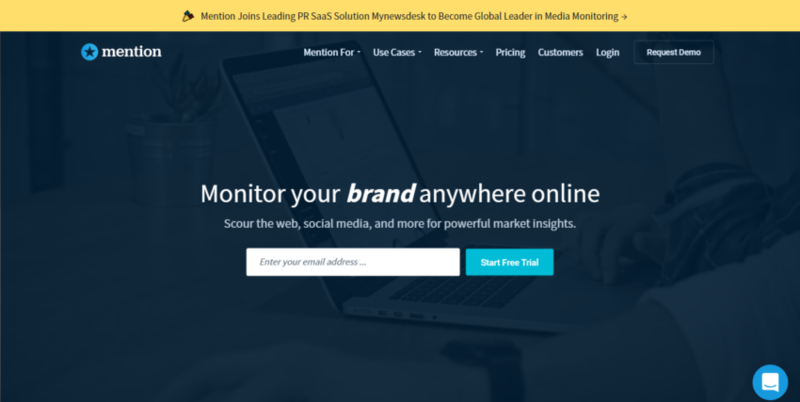 Monitor your brand, PR campaign, target keywords, etc on the web and social media in real-time with Mention. Public relations practitioners can also respond to social media mentions directly from the app. Find and engage with your ‘target audience’ – influencers that use your keywords. This works like a pr checker tool for comparisons with your competitors. Choose some of your closest competitors to compare key metrics. Analyze which brand has the most share of voice and sentiment. You can also see who performs best in what region and language. Your brand might be trending, but do people really like it? Brandseye allows you to analyze the public sentiment regarding your brand. The tool provides organizations with an in-depth understanding of the issues causing positive and negative sentiment. Algorithms can’t accurately understand human conversation because of tonal subtleties, slang, and sarcasm. 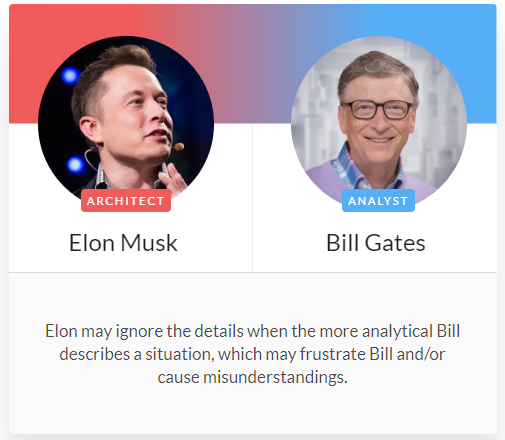 So, Brandseye’s crowd members review, verify and categorize the AI’s analysis. Thousands of consumers take to social media to express their negative opinions about products and services. Use this tool to mine tons of user-generated content, and route the right contact opportunity to your customer service team. Your teams can react to the situation at the right time, saving or winning a customer in the process. Remember, word-of-mouth marketing is very influential and can make or break your brand. How do you create successful content? By understanding what topics work in your industry. 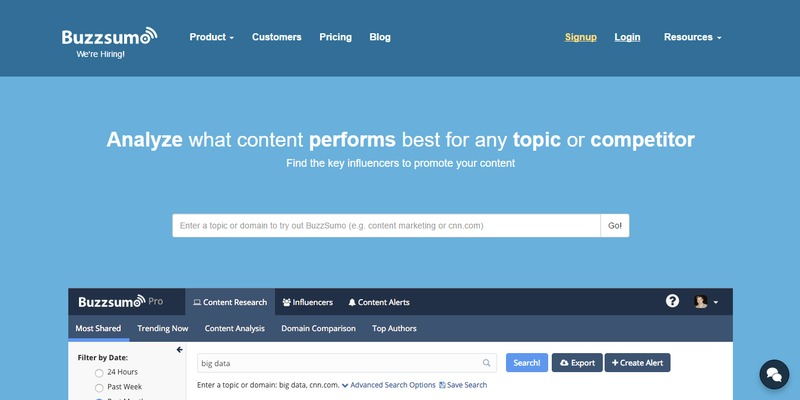 Buzzsumo helps you find and analyze high performing blogs and videos. With this prchecker info, you can crack their secret code and replicate cool content yourself. Search for and engage with highly influential bloggers and personalities in your industry. Set up alerts for your brand, keywords, authors, and more. 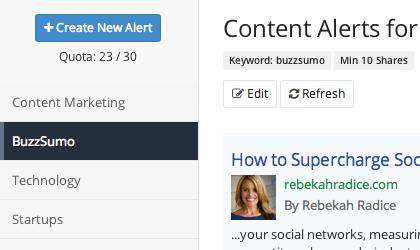 You can also get an alert as soon as your competitor publishes new content. Manage all your alerts by creating a personalized dashboard that displays all the data you need. As part of our personalized PR strategy and action plan, our outreach strategists create great content, surveys, and rankings for you that connect your business with your customers through an amazing story. We analyze tons of blog posts and news articles to find what is trending in your industry and which journalists would be relevant to write your story. Not just that. We also help you build a relationship with that specific journalist so that your pitch has a high response rate. As Restart Energy found out when it started using our services, producing good content is an excellent way to stand out from the crowd and build authority in your space. The best way to understand your audience is to know what inspires them. Sparktoro is an upcoming audience intelligence tool by Rand Fishkin – founder of Moz and a prolific digital marketer. You can discover the websites, blogs, podcasts, social accounts that reach your audience through various search terms. Build lists of accounts you can monitor and track, so you can spot trends before they happen. Every popular Twitter account has a legion of fake followers – such as bot, spam, propaganda, and inactive accounts. This is a major problem when trying to gauge the actual impact of your brand. This tool identifies the number of fake followers an influencer might have based on various criteria including – inactivity, default profile image, low number of tweets. These tools can help you in all aspects of writing great content. From checking grammar to creating perfect headlines and subject lines, these tools will help you write better blogs, pitches and emails. Before you pitch to your journalist of choice – spend time crafting the perfect subject line. Around 35% of email recipients open an email based on subject line alone. Create a good first impression, with this free email marketing tool. 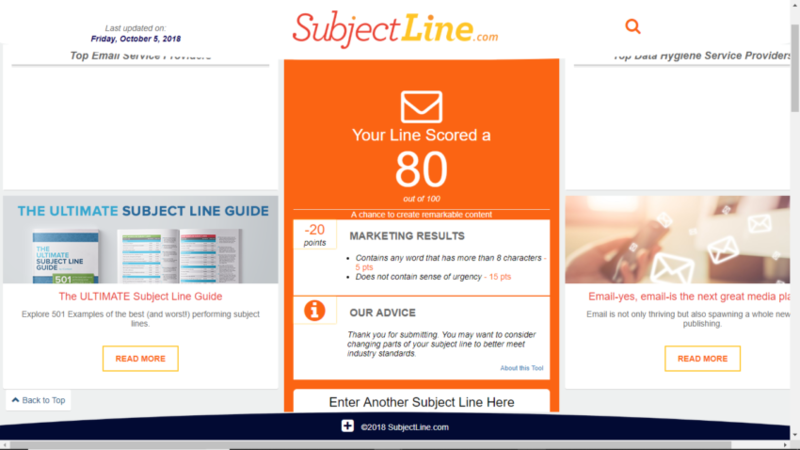 It evaluates your subject lines “clickability”. Subject Line also gives you tips on how to improve your existing subject line. Browse through important keywords to check out trending marketing articles. You do not need a separate tool. We help you craft different subject lines and you can use the tool to A/B test the response rates for those subject lines to find your winner. 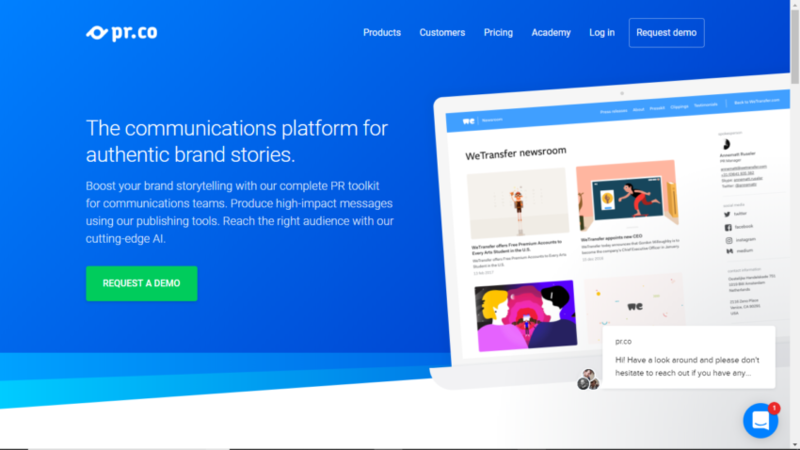 Prezly is a PR software that provides a PR CRM, online newsrooms, a story editor for creating visual press releases and email distribution to get those press releases out to your contacts. Key Feature: All-in-one PR Software. When using Prezly you have access to all of the features of the platform to ensure maximum deliverability of your press releases. 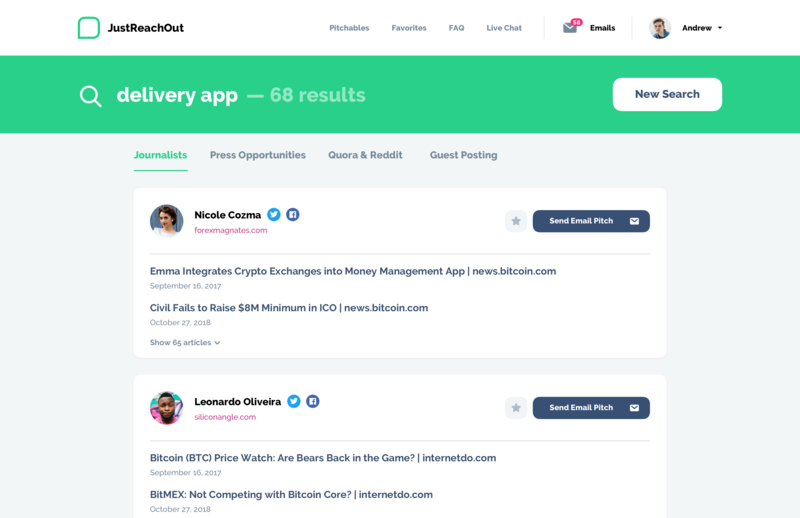 JustReachOut software helps you find the most relevant journalists, the reason why they might be interested in your story and actually pitch them as well as improve the pitch. We also have a team of PR strategists who help you send your email pitches and improve them. Another way to leave a lasting impression is by crafting flawless emails. 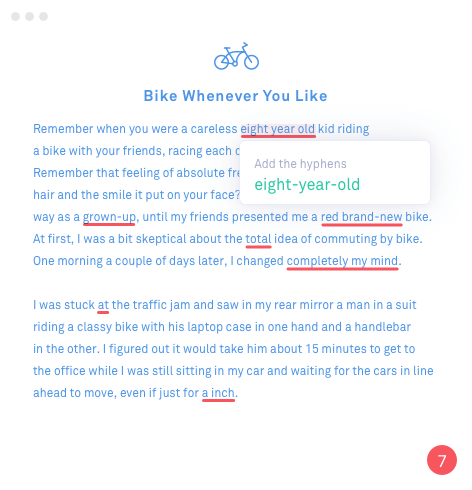 Grammarly makes sure everything you type is clear, effective, and free of mistakes. Run your emails and content through the tool to check your sentence structure, spelling punctuation and more. Check whether an influencer or journalist has written original content for your blog/press release. The tool looks through search engines for millions of websites and academic databases that have matching words and phrases. When we finalize pitch email and follow-up email templates with you, they are already checked for spelling errors, grammatical mistakes, and typos. No need for any additional tools. All assets including content are also checked for grammar internally. However, you might still want to keep this tool once you learn how to DIY your own PR and no longer use the services of JRO. How do you persuade an influential journalist or personality? By speaking their language (metaphorically speaking). 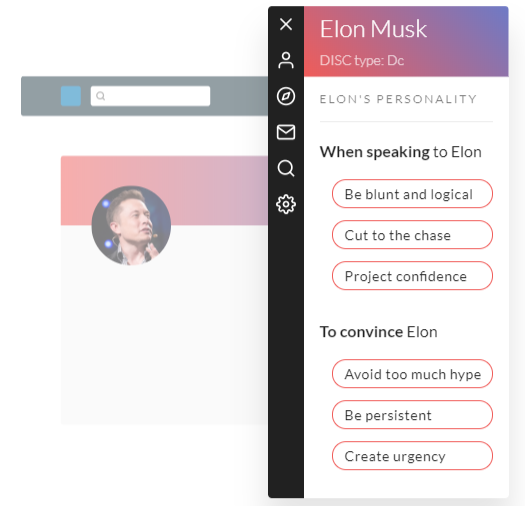 Crystal analyzes your target influencers communication style from their social media posts or sample texts. Craft a personalized email for your targets using these deep insights. Crystal explains possible dynamics between two people based on their unique personalities, even if they have never interacted before. It’s almost like having to-do lists when it comes to communicating successfully. Use this to improve interactions between your PR professional(s) and your target influencers. Our outreach strategists (who are former journalists) help you craft the pitch emails and conversation starters. They have the necessary competence and experience to understand different communication styles and adapt them to suit each individual journalist. For instance, Teltech Systems (creators of RoboKiller) had a lot of data but did not have any strategy for getting the findings of their research to the public. Our strategists uncovered loads of possibilities for pitching local press stories using local data for each city and state. Many companies are now flocking towards new distribution channels such as social media and blogs. 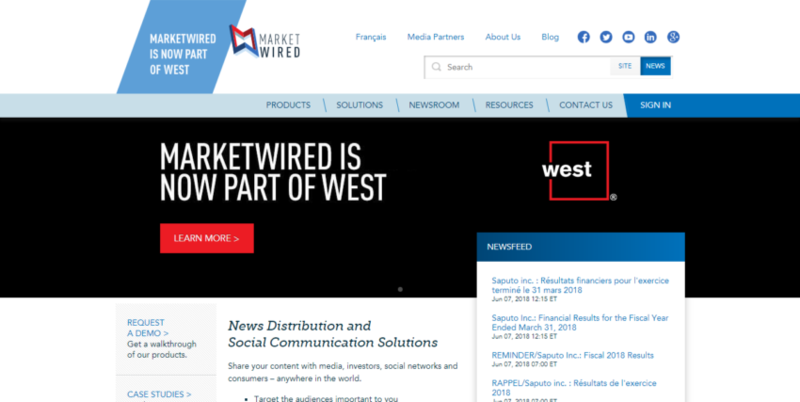 Marketwired is a PR tool that distributes your press release through online newsrooms, which allows you to have a huge reach. You can choose to target specific digital media outlets and audiences. Browse through interactive dashboards that give you metrics on reach, visibility, and engagements. The Marketwired team collaborates with you to make sure your press releases are published on time. They also provide translation and editorial services so you can target your releases geographically. Brand storytelling is also an important component of your online PR strategy. Along with publishing visual press releases with PR.co, you can also create a digital newsroom (or a landing page) for all your company press releases. Give certain people early access to your news before it goes public – with the Embargo feature. This feature is highly essential for brands with multiple PR agencies in other countries. Delegate local teams to rewrite or translate announcements to fit their respective local markets. You can choose whether to give local teams full or partial upload access. When it comes to PR Analytics, TrendKite has quite a lot to offer. Learn how media mentions impacts your business. Choose and customize dashboards like Competitive Analysis, Monthly Measurements or Product Insights. Eliminate hours of manual work – create PR reports with a single click. This feature helps you understand your PR’s impact on your website traffic. The tool tracks readers from over 4.7 million publications. It also shows you how many of those readers visit your website after reading an article about your organization. This helps you learn the actual results your mentions and not potential metrics. Companies spend around $30 billion on PR per year! So it is only fair that executives should be able to see the return on investment. Unfortunately, 82% of PR professionals have no means to evaluate the ROI. AirPR helps you gauge your ROI, social amplification, reach and more. You can also discover trends in real-time including – article frequency trends, social amplification, which publications are writing about a topic, etc. The tool gives you a holistic view of how your digital stories can help you reach your business goals. Want to show off your PR campaign results to your clients? CoverageBook combines all of your links and condenses it to visually stunning reports within minutes. The tool automatically calculates metrics and displays easy to understand figures so you can woo your clients. Work on your reports with your PR team. You can view, edit or share any report from any device with an internet connection. Ideal for last minute changes. Your outreach process shouldn’t be a shot in the dark. Buzzstream lets you know how exactly well your outreach strategy is faring. 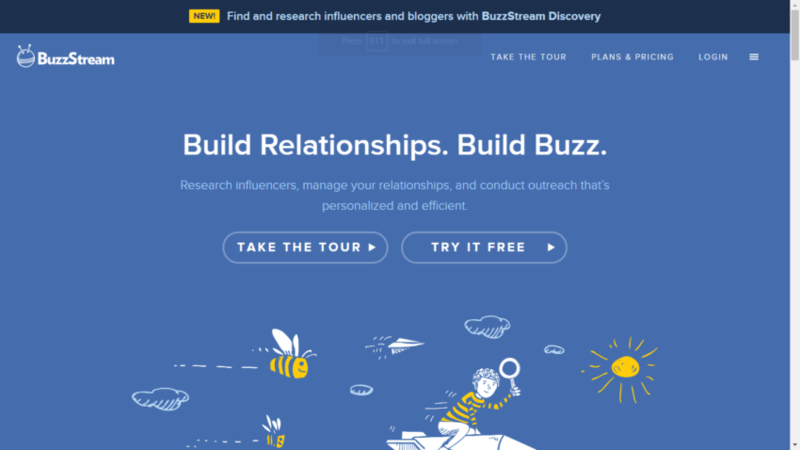 Search and connect with influencers via the Buzzstream platform. 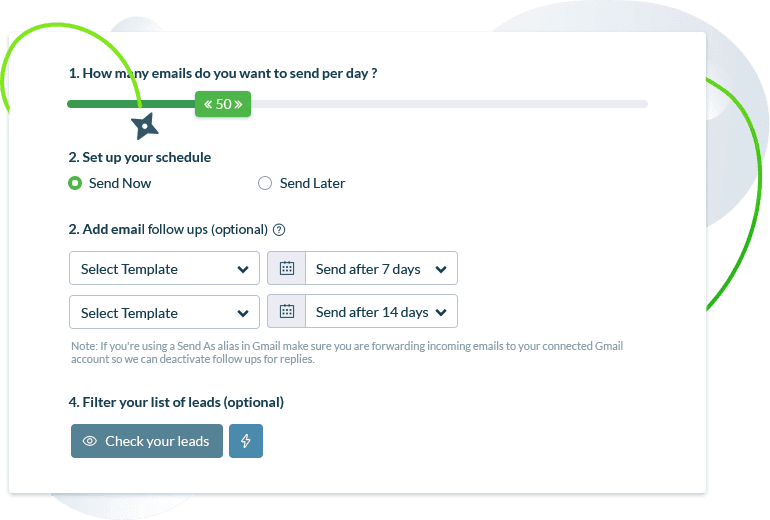 Create templates, personalize and schedule emails with the in-app email tool. Learn about the email templates and subject lines that give you the best results. Find out which team members are outperforming with their pitches, and see the gaps that you may need to address. Manage your influencer relationships. Find out at what the stage of the relationship you are able to convert. Customize any report to get the most out of the data. We take you through a detailed step-by-step process to build relationships with individual journalists and influencers in your niche. We also help you find your conversation starters and create emails to get the conversation flowing with your relevant target journalists. You can learn this entire process within a few months and then you are ready to do your own PR. No need to depend on tools or agencies. If you don’t have enough resources for your PR strategy – you can always outsource it. Partner up with Upbeat to develop a media strategy, launch outreach campaigns, build journalist relationships, get media coverage and more. You work with dedicated virtual public relations professionals at all times. They also provide PR software to manage your campaign. Journalists visit your website to view your press kit. Build a professional press page that you can host on your site. Sometimes you can’t decide which PR tool to use. Why not use all of them in one package? 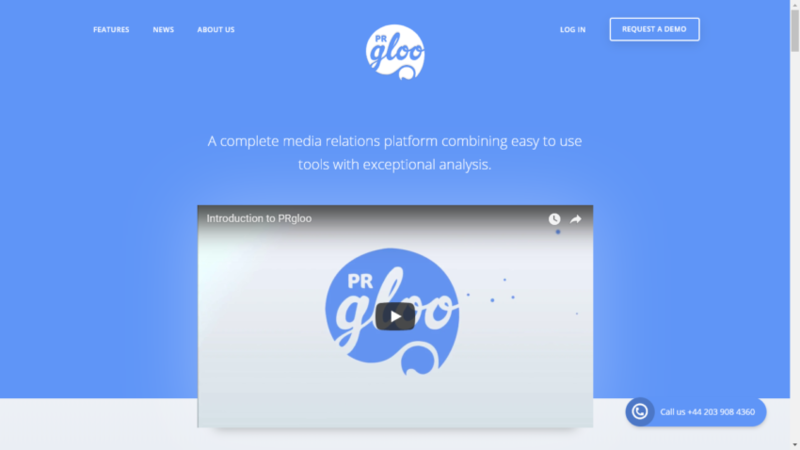 PRGloo is a complete media relations platform that combines many easy to use tools. Build influencer lists, manage contacts and engage with journalists. Create and publish media-rich stories with powerful publication and distribution tools. 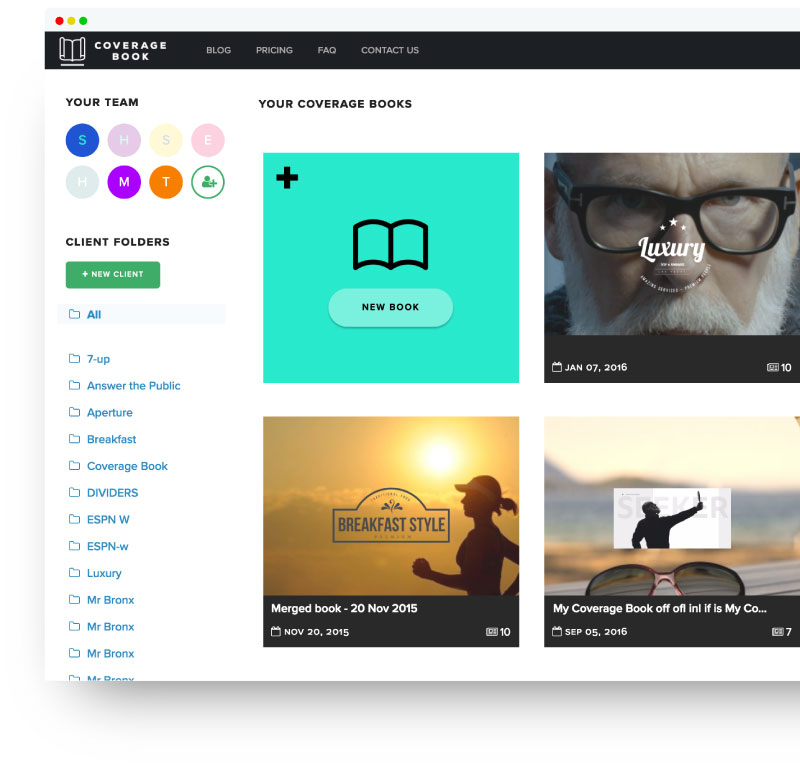 Engage with audiences in a customized newsroom. Find out what content has been working and what isn’t with one-click reporting. This feature is great for PR pros. Keep track of in-team and external conversations – so all team members are on the same page. The ideas and relationships discussed in these conversations can be highlighted and shared with the senior management. Doing your own PR is not difficult. Use these pro tools to get the press coverage that you deserve. 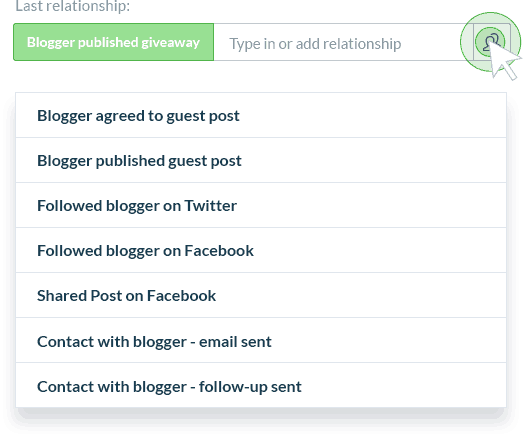 Which ones of these 25 awesome public relations tools would you use for your PR outreach? Let me know in the comments below. PRWEB was absolutely amazing back in 2004. We could write a press release at night and end up being ranked #1 for our keyword in google the next morning. We called this SEO technique “Press Release Optimization” and did over 700 press releases before Vocus bought PRWEB. Vocus was extremely buggy and only worked well for us because it came with an enormous number of PRWEB releases, and then Vocus was bought by Cision. By then I was completely burned out. You see, throughout this entire time there were a lot of players copying PRWEB and it got to the point where the free and even paid press releases saturated so much of everything, that Google really started either ignoring or penalizing the content. I can’t blame them, because every one of these services were being abused by the auto-blogging bots, and quite frankly even the news media themselves. It’s not like the news team found a press release and published a piece of high quality content about you. The local ABC, CBS, NBC, Fox affiliates simply auto-blogged the press releases too. They desperately tried anything to get more page views by packing the site with auto-content. They did this because giving the impression that their site was busy is how the local news media lured their local business broadcast advertisers to add on a web ad package at X a month. The entire ecosystem ultimately made itself worthless by the PR distribution systems, publishers, and advertisers in an attempt to create more value for themselves, rather than more value for their audience. So my point is this. While a blog article listing 100 PR tools is a great way to get people to read and spend a good amount of time on your page, thus helping search engine credibility for the page, please do your research before you invest a good amount of your time, money, and hope into a good number of the items listed here, likely written by someone who has never actually used them. Especially since Google no longer values hundreds of links pointing to your domain from automatically published news feed pages that rarely or never get found, shared or commented on. So neither should you. There are several good tools on this post that can help you generate your own quality content, and get it in front of the right people. JustReachOut is likely one of them, so I’m very surprised that some of these tools of little value or ROI are actually being mentioned. There is so much information overload in this world, please do not allow yourselves to hire writers, that are simply aggregating and reworking what someone else likely already wrote without having first hand experience themselves. It can work for a quick burst of traffic, or simply to meet a deadline, but it’s not as effective as it can be. Here’s the PR formula we should all be using. Creatively and consistently create value, passion and credibility in everything you do. Seek out relationships with people who do this too, and ultimately the right people will want to help you get your message in front of the right audience that shares your value and passion too. Do that, and heads will start turning your way. Thanks for the comment, Tony! I am in complete agreement with you, PR releases are a way of the past and a number of the tools we mentioned in this list are not suitable for small businesses and startups who are the folks we personally care a lot about, we built JustReachOut for these folks! There are however a lot of large corporations who still do PR news releases and depend on them for their business, so we wanted to put together a complete list of services for PR solutions out there. I’ll have to go through and re-assess some of these once more, thanks for the ping! This is an EPIC list that contains everything to pull off a successful PR campaign. I have to bookmark this! Huge LIST of tools. Good to have a variety of options. Nice work Dmitry! I stumbled on this blog when I was looking for public relations tools on Cuspera. They have an interesting list there. Your article is really helpful as it has clarified some of my questions. Can you suggest the best tool/service out of all of these for PR for my ecommerce business ? Thanks in advance. Thanks for your note Alex. Happy to help! We’d need to know a bit more about what your PR goals are for your business. Please click the “book demo” button above and we can simply get on a quick call to chat about what you’re trying to accomplish. If we are a good fit we’ll work with you, if we are not we’ll refer you to another firm or platform to suit your needs. I stumbled on this blog when I was looking for publishing tools on Cuspera. They have an interesting list there. https://www.cuspera.com/app/acquire-customers-by-publishing/G1-A63–/context?industry=computer-software. Your article is really helpful as it has clarified some of my questions. Can you suggest some latest publishing tools for my ecommerce business ? Thanks in advance.